The K-3722 San Raphael toilet features a dual flush system. The tank contains two flush valves that operate at the same time when the toilet is flushed. Each valve delivers water to a different area of the bowl. Canister flush valve: feeds the jet, creating a siphon and a high performance flush. 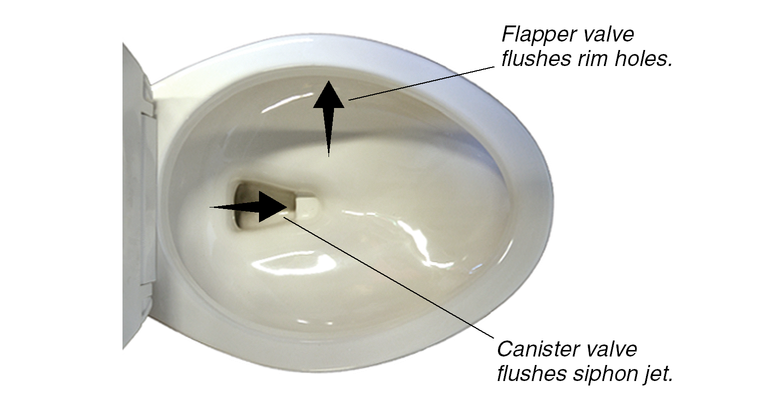 Flapper flush valve: feeds the rim which cleans the bowl.